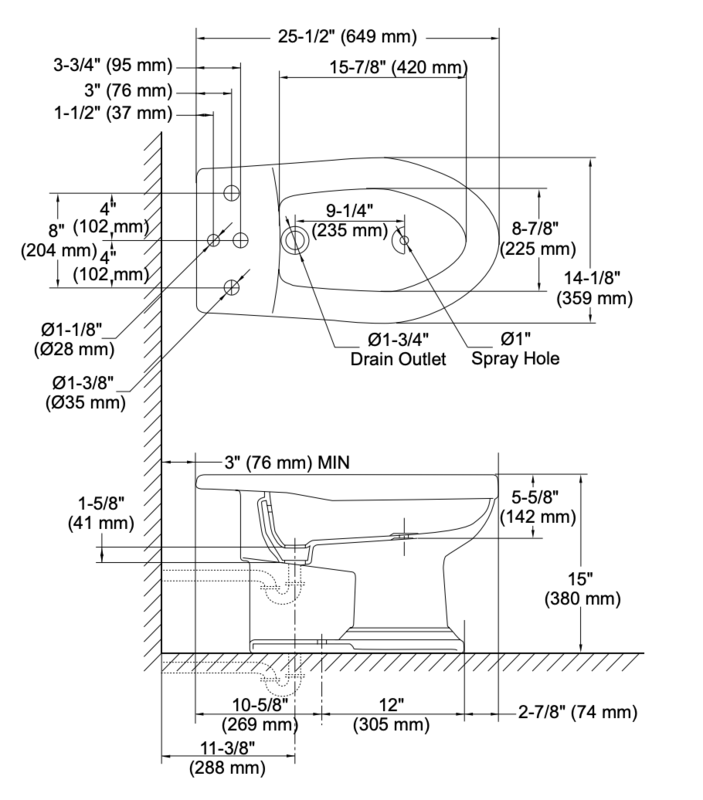 TOTO’s Clayton bidet is an elegant traditional-style bidet featuring a vertical spray, flushing rim, and built-in overflow mechanism that helps prevent water from spilling over. The Clayton bidet’s design matches other products in the Clayton suite, and it’s available in Cotton White, Colonial White, Bone and Sedona Beige. Please note that the faucet hardware is sold separately.